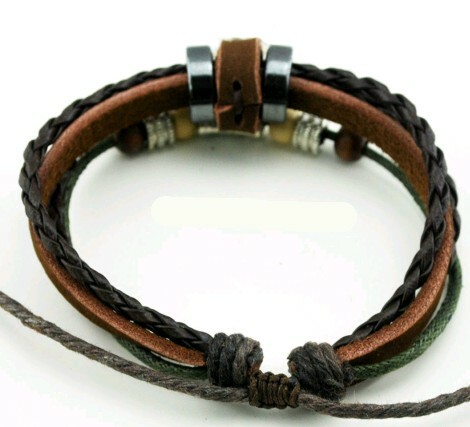 This Wolf bracelet is fashioned out of leather and hemp. It is decorated with beads and metal findings. The howling Wolf is made of a silver colored metal alloy. It is a unisex bracelet that adjusts to fit most sizes.